The book of Genesis chapter six in the Bible reveals that in the mists of antiquity the sons of the gods came down to Earth and bred with the daughters of Man. Basically Adam and Eve’s offspring were imposed upon by aliens, and here I am tossing in the possibility that perhaps they were a race of reptilian beings from another planet who were sexually compatible with human women. We have the Reptilian portion in the back of our brain – the R complex which explains why we tend to have repetitive behaviour. Reptilian beings are parasitic of nature. They also love pomp and ceremony, being lauded over and worshipped. Here is a short clip of world renown cosmologist Carl Sagan, an expert is this field. Hereunder Bible verses giving more information about this. History becomes legend and legend becomes myth. Genesis 6.4 –‘There were giants IN the earth in those days; and also after that, when the sons of God came in unto the daughters of men, and they bear children to them, the same became mighty men which were of old, men of renown.’ ’The Bible referred to them as the Nephillim and states that they were giants. There are many verses in the Bible that refer to the Nephilim. Wikipedia also offers some detail about them. 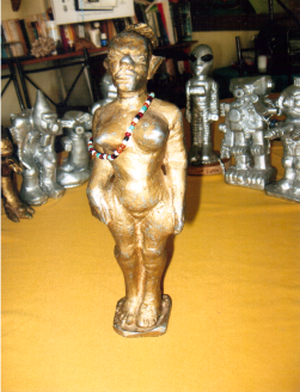 Credo Mutwa, the great South African Sangoma, Sanusi, ‘Nyanga, says the great discovery of the hybrid reptile/human is here in SA. It was here that the reptiles and human were merged together. Here mythological creatures similar to those found in Sumeria were discovered – the Babylonian god – NINGISH-ZIDA and Guardian of the South known as NINZIMU. African folklore tells of beings from elsewhere that interbred with humans in order to create beings to be the kingship. Zulu actually means ‘interplanetary space’ which is where Zulus believe they come from. The world’s ‘supposed’ or self-appointed royalty are the genetic offspring of these bloodline races. This has been substantiated by genealogy. They are fanatical about interbreeding; as though they are under orders to keep their lineage pure. This they claim gives them the divine right to rule. These people are enormously wealthy, but the man in the street is expected to give of his hard-earned wages to add to their opulence. Their extended families have been placed in positions of so-called power in governments and big business around the world. Governments are parasitic organisations. Everything governments have is taken from the people and they are always trying to extract more from the public. Conflict and competition are reptilian traits, both producing the divide and rule which is essential for the few to control the many. Wars are engineered by the reptilian brain. Africa’s secret societies were very much aware of the existence of the reptilian races and that they have for aeons controlled the world. The best way to protect evil information is to deny its existence – hence they are protected by ridicule. Dr Credo Mutwa, the keeper of the world’s history according to African folklore has the most astonishing ancient knowledge that he decided against oath to share with the world. 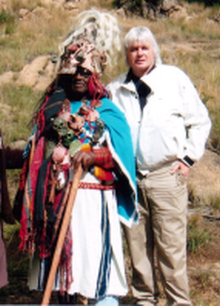 My close friend David Icke produced a DVD of Credo Mutwa titled Reptilian Agenda. In my book Returning to Myself about my life in Central Africa I point out how foreigners, under the guise of bringing ‘civilisation’ to Africa have been systematically destroying African culture which has all but been replaced by a largely questionable version of education. African history is not exactly what we have understood it to be and it takes only a few generations for the truth to be lost. African religion has been demonised and foreign religions imposed. These religions have basically been glorified as being the bringers of light to Africa. They stole Africa’s history and African’s way of worshiping. Africa was certainly not a deep and dark Continent. I would specifically like to draw attention to the reptilian influence in relation to Africa. These creatures live in caverns under the ground. In Barotseland, the western region of my home country of Northern Rhodesia, now Zambia, and also in Southern Rhodesia, now Zimbabwe, these reptile beings were referred to as the Chitauri. They have slit pupils and their eyes shine like torches. The story of the Chitauri begins at a time when the whole world was largely a dense jungle and deserts were unknown. There was a constant drizzle and the sky was permanently overcast. The sun could not be seen except as a hazy light that passed overhead. Perhaps this was the Garden of Eden. African folklore tells of the arrival of strange beings, namely the Chitauri. They told humanity that they were gods and that they were to be worshiped. The Chitauri were perceived as having magic powers. Being sly of nature they told the people, who were at that stage whole and complete, being neither male or female but androgynous and held command over the animals of the Earth, that they the Chitauri would turn them, the humans into gods. They were driven into either one of two caves, from which they emerged as being either male or female. This caused strife between the opposite genders, an affliction which still troubles us to this day. Divide and conquer. It was the Chitauri’s plan to take control of humanity. Up to this point people did not speak, but communicated telepathically. The Chitauri were known as the talkers, and they gave humanity the ‘gift’ of speech. Here we have a similarity to the Tower of Babel in the Bible. The spoken word weakened humanity’s mental powers. The Chitauri became humanity’s masters and people were sent into the mines. They were also robbed of their innate happiness and became dissatisfied with all areas of their life, as still is the case for many people today. The Chitauri are tall slender beings of about 11 ft. tall and seem to have no bones. Their long fingers are rubbery and they have 3 or 6 fingers for claws, similar to a chicken’s foot. It is claimed that God became fed up with the Chitauri and stitched their lips together and flung them away. There are certain people who know of their existence. In films such as Star Wars you can actually see these beings. Darth Maul is such creature. He is red and black. Their leaders have horns, some even have antelope type horns. In the film Star Gate Two there was a slimy cream coloured creature with heavy wrinkles on his face depicted as an emperor. That is a Chitauri. They have snakelike eyes that burn in the dark. The eyes of higher up Chitauris’ more jewel-like. They have three eyes which open sideways not up and down like ours do. They are able to kill people with their middle eye, the evil eye or killing eye. The angrier they get the more their eyes glow. Stargate Move Trailer – At 1.47 seconds a Chitauri can be seen. 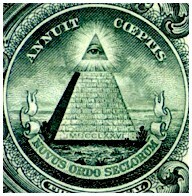 To the Chitauri, an eye is a powerful symbol, the all-seeing eye, as depicted on the US dollar which was put there by Roosevelt who was apparently one of the Illuminati. The Chitauri and the Illuminati are apparently one and the same. These Chitauri made their home in the land now known as Zimbabwe in the vicinity of Bulawayo where the Matopos – the rocks that hold great secrets, span 100 000 hectares. The Matopos is a very high energy point. I have been there many times and can tell you that it is an amazing place. 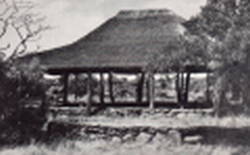 Rhodes often went to his summer house at Matopos to recover from the depressions that befell him. The evidence is mounted against Cecil John Rhodes, the founder of the Round Table and other organisations that comprise the Illuminati, that he and others were in regular contact with these strange creatures that parasite off humanity. Rhodes’s Summer House and Malindidzimu – Dwelling of benevolent spirits – Cecil John Rhodes’ grave. 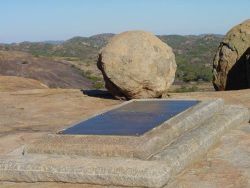 Matopos is the last resting place of the Ndebele King Mzilikazi and his son King Lobengulu as well as Rhodes after whom both Northern and Southern Rhodesia were named. It is under these rocks that there is a city of the Chitauri. If these rolling whale-back mounds are struck in certain areas with a 4 lb. hammer it makes a hollow sound revealing that there are caverns beneath these rocks. There was a man there who made a strange noise from his throat. When he did this all the lizards run to him. This has been documented on Zimbabwean TV many times but without the knowledge of what it was all about. This strange sound is the language of the Chitauri. To the Shona people these mountains were known as ‘the mountains from which people do not return’. Here, many white people and large numbers of black people disappeared without trace. It is not advisable to go into the area of Matopos at night because these creatures come out and have duals by attempting to stricken their opponent with the power in their eyes – the angrier they get the more their eyes shine. In modern cartoons the devil is depicted as a Chitauri – exactly as they really are, living under the Earth surrounded by fires. This is similar to the caves of hell in Dante’s Inferno, of which a film has been made. The trailer can be viewed on youtube. Both Socrates and his student Plato referred to underground caves where strange beings held strange prisoners, were mere shadows on the wall. They also referred to the upper world. Dr Mutwa, he told me that in South Africa there are fossils of reptile creatures with blunt faces. They are called GORGONOPION which means ‘terrible eyes’. These creatures look roughly like short snouted crocodiles. They were big and fat, but short and walked on all fours. Below is a photo of the famous Boskop Skull found in South Africa (Accredited to Prof. Pieter Wagener). 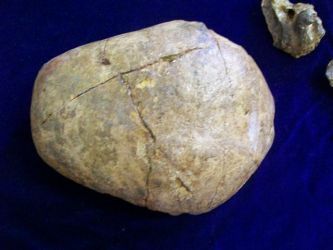 The image of the Boskop Skull alongside an image of an average human skull clearly reveals the difference in size -(image from Big Brain). One wonders if this could actually be the skull of one of these reptile creatures. In the majestic mountain ranges in Eastern Rhodesia (now Zimbabwe), the weeping womb mountains, the energy is amazing and unique. It is here in the rock enclosures that the snake people, the people of the python can be seen from the sky. Here people have disappeared without a trace for days on end; on returning they have no a clue as to where they have been. Some white people and hundreds of African people have disappeared there. 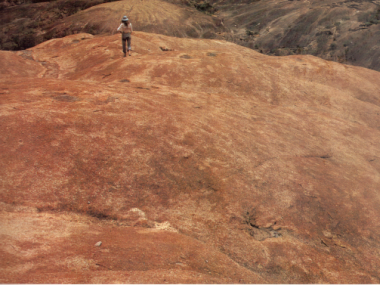 In 1959 Credo Mutwa disappeared in these Eastern Highlands for four days. 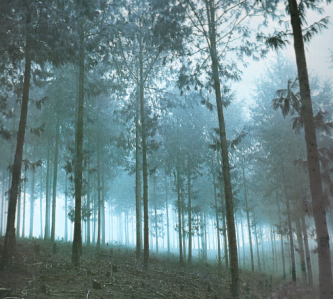 Before he disappeared a blue mist descended and the temperature dropped quite drastically. Next thing he found himself without trousers surrounded by nose-less, slit mouthed creatures, grey in colour who wore silver-grey garments. There were also other rather smelly creatures that were both expressionless and emotionless. They did not blink and had a terrible stare. 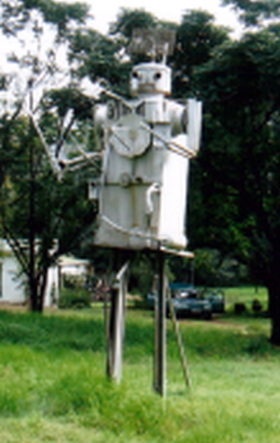 There was also a variety of strange, even mechanical beings there. 1. 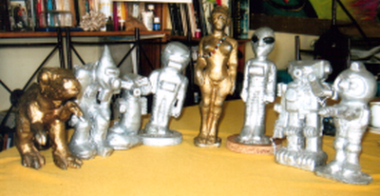 Welded sculpture of metallic alien being and clay figures of alien beings sculpted by Dr. Credo Mutwa. This was a frightening experience. Credo was tortured in what may have been experiments. While he was completely immobile he endured the most indescribable pain. He was not the only person there, others were also being tortured. He then found himself back in the Rhodesian bush, all but naked where he was found by the locals, but they kept their distance as he stank terribly and the dogs turned on him. They told him that he had been taken by the Matindane – the terrible ones. It is very interesting to note that after this horrendous experience his senses were heightened and his prophetic powers had increased. The link below offers a little more information on Credo Mutwa’s life as well as his abduction in the Rhodesian bush. There are many accounts of people having disappeared at the Great Zimbabwe, previously known as The Zimbabwe Ruins. There is apparently a forth dimensional passageway between the great Zimbabwe and Storms River Mouth in the Eastern Cape. There is an eyrie feeling at the mouth were the sea and river meet. Credo says that these alien creatures are harvesting humanity. They know an enormous amount about us and as indicated, they are sexually compatible with humanity. They feed off our energy, specifically the intense human emotions of fear and terror, hence the promotion of conflict and war. Sacrificial rituals to their gods were and still are a reptilian speciality. Their special delicacy was to consume human brains. Scientists have found corpses where the brains were removed. Transcript – When your brain is reduced to a cottage cheese-like mush, we’ll scoop them out with a melon-baller and gobble them right on up. Oops, I think I’m drooling a little. Those were terrible days – those days when the Dawn of Time was still red in the horizon of Eternity. Those were the days when Outcast Gods, Dimo Giants, Viper Maidens, Life Eaters and Fire Leopards and many other monsters, vicious and horrible beyond description, still roamed a frightened earth. The qualities of humanity are lost in him. Though it seems to proceed from the man’s mouth. His self is departed, and he has become the spirit. Dr Robert Broom, a Scottish physician and friend of Prof. Raymond Dart, worked in the small Karoo towns of South Africa. In his spare time, he made himself a world authority on mammal-like reptiles. (The Karoo is home to over 800 billion fossils.) Broom tried to persuade Prof Dart that fossil reptiles were our direct ancestors that we are… lizard men! Unfortunately, both men died before they were able to document their work on this. In 1811 Ludwig Levin Jacobson discovered what is now known as the Jacobson’s Organ which is possibly a link between humans and reptiles. He found a pair of pits in the palette of fossil reptiles in the Karoo, which are over 200 million years old. These have also been noted in snake and elephant skulls. A book titled Jacobson’s Organ has been published. 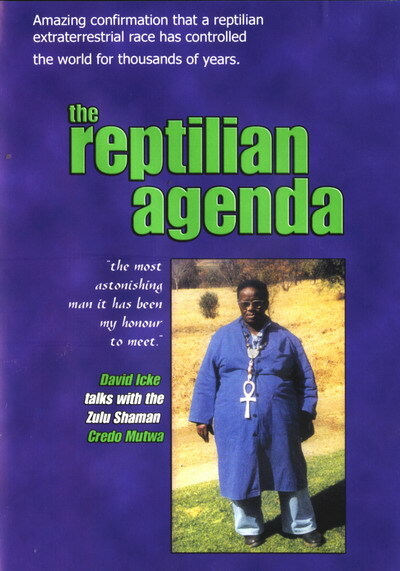 If anyone is interested in obtaining a copy of Credo Mutwa’s six hour DVD The Reptilian Agenda please Contact Me. Please go to Strange Facts (of Africa) – Credo Mutwa’s Experiences – for more interesting information. You may listen to the full interview with Linda Smith next week Saturday 2nd November – online radio show – 2oceansvibe Radio on The Abstract AIMEE Show at 12:30 noon South African time. The recording will be posted the following week.